Dundee Contemporary Arts Cinema are kindly screening films especially selected for the Impact 8 Conference and Print Festival Scotland. All IMPACT delegates will be able to access the film screenings of LINOTYPE (Sat 31 Aug) and ELAOIN SHRLDU (Sun 01 Sept) for free on presentation of their delegates pass. This is on a first come first served basis. Called the “Eighth Wonder of the World” by Thomas Edison, the Linotype type casting machine revolutionized printing and society. 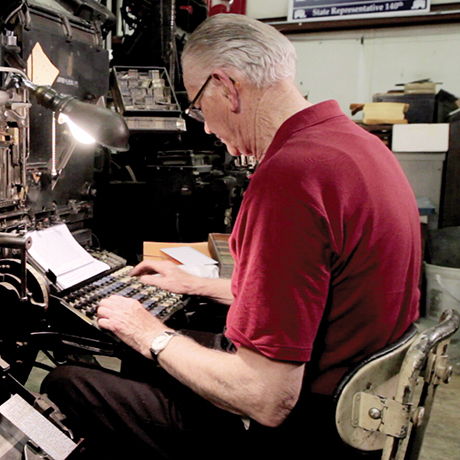 This documentary tells the charming and emotional story of the people connected to the Linotype and how it impacted the world. Avant garde musicians The Devotional Ensemble provide an experimental soundtrack to silent films on the theme of linotype printing and more contemporary processes, featuring a rarely-seen DC Thomson commissioned film from 1911 entitled DUNDEE COURIER: Production of a Great Daily Newspaper. 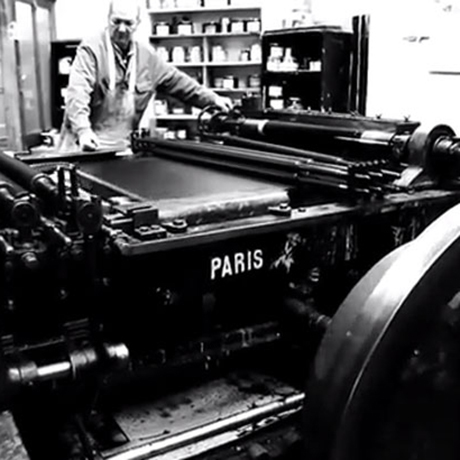 The screening will also include Idem Paris, David Lynch’s very short film about the Montparnasse fine-art printing studio where international artists bring their inspiration and creativity to the world of lithography.